I Did It . . .
Last Wednesday, after attending a trade show in Albuquerque, Mark and I screamed into the Apple store and were out again 8 minutes later with my new iPad. At first, I had a bit of buyer’s remorse. After viewing the new retina display, my socks are still on. OK, I don’t wear socks, but you know what I mean. The colors are more brilliant, but the difference did not overwhelm me. My old iPad (purchased by a dear friend, thanks for asking), did not have a camera, so that is the biggest change for me. I take cameras pretty seriously, so a 5 megapixel camera is not such an exciting idea. But I am excited. For such a bulky thing that is hard to hold still, the results are pretty sharp – given also that this shot was taken in light so low, my DSLR left the building. 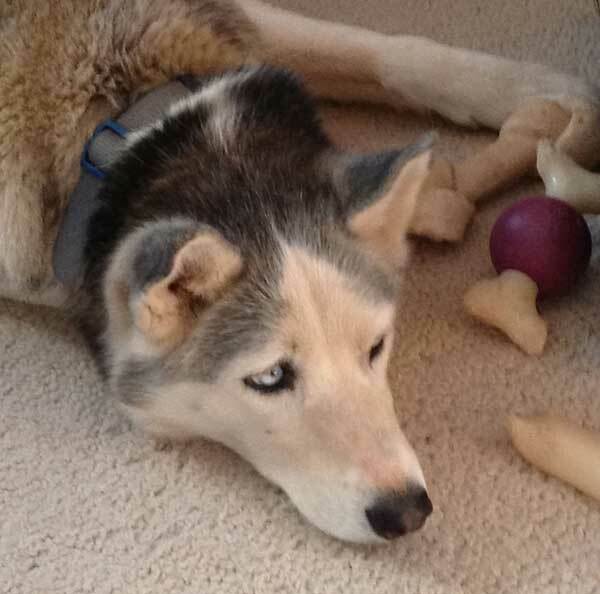 And here is my dog, Sky, helping me with this blog post (she has not had any Sunday morning coffee) . . . There is a good deal of digital noise and a bit of soft focus, but given how hard it is to hold this iPad still, and how little light there is in here, this is not bad for journalistic photography. My buyer’s remorse has left the building. 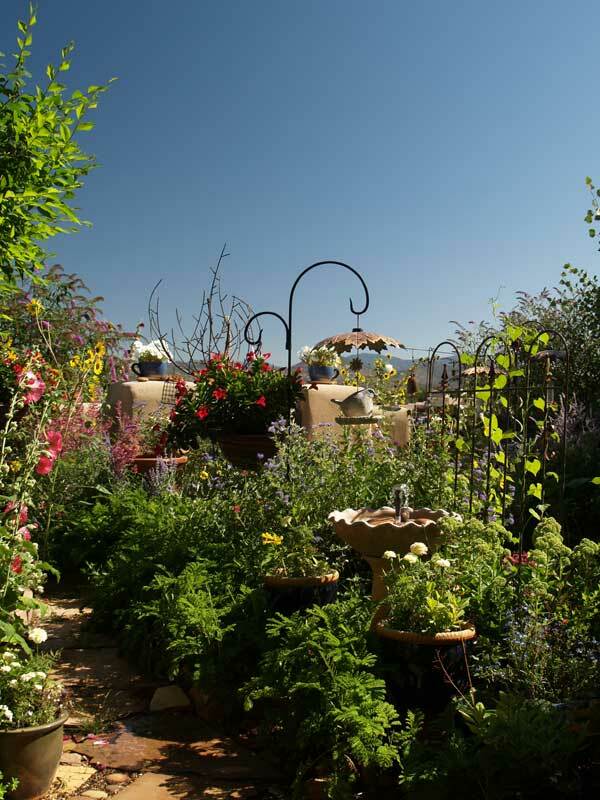 Here is how it will be (this was the 2009 Garden) . . .
And here is how it is right now . . . This past week, we officially entered Spring, we sprang ahead an hour to Daylight Savings (I love it), and Spring Cleaning is upon us (I don’t love it). Many folks do their yard clean-up in the Fall, but I find that the wild birds hang out here all year long eating seeds and playing on the branches. 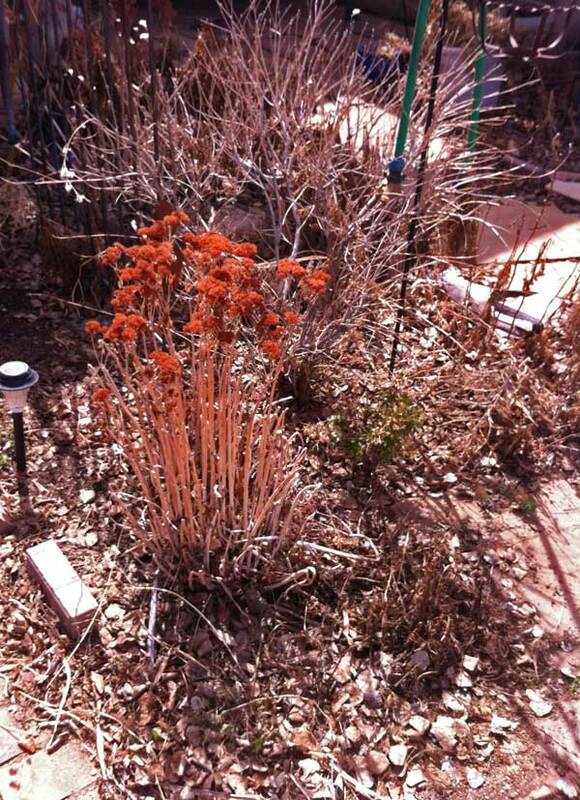 The Autumn Joy Sedum you see here is even beautiful now. So Spring Cleaning it is. An entire day of hard labor produced this much . . . one bed and one border. I clear all the debris, spread time release food, and top dress with compost. I love this look – black dirt full of promise – and devoid of weeds. Next week, I will have a great seed starting tip for you. Spring Cleaning is going on inside as well. We have SO MUCH stuff. Half of it has got to go – really. Sometimes, I come up with stuff I didn’t know I had, and worse than that, don’t know what it, is or where it came from . 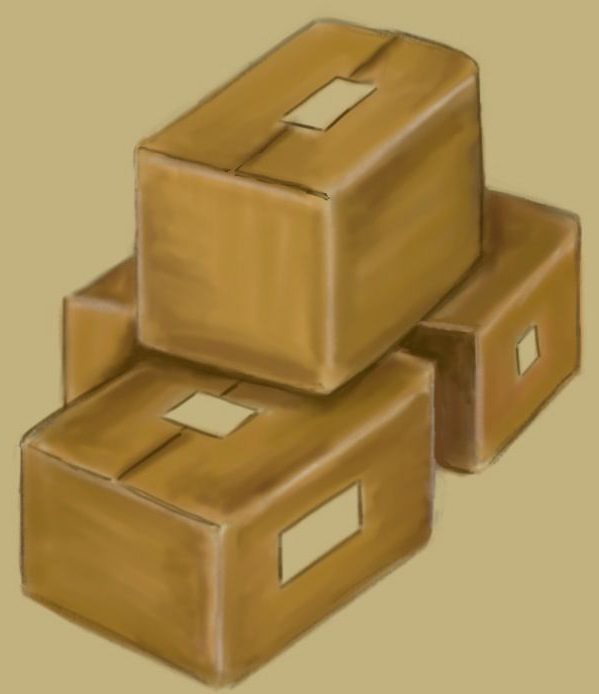 . .
And its package didn’t give many clues either – it said “Get a Grip”. I often feel that I should get a grip, but could not figure out how this could help. 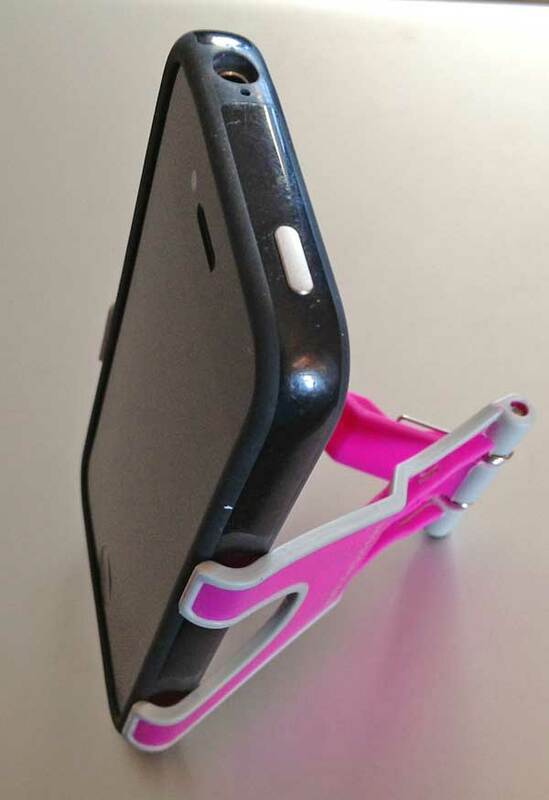 After some research online, I discovered that this is a clamp to hold a smart phone upright. 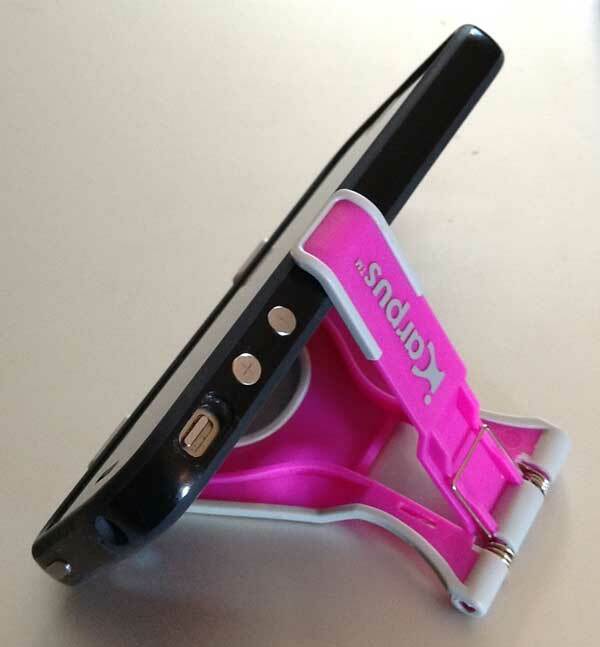 This is a great little tripod for my iPhone. The iPhone camera is wonderful – 8 megapixels and lots of good features. Annie Leibovitz recommended it and she knows a bit about photography. But I rarely use my iPhone camera because, again, it is difficult to hold steady. I have tried a couple of tripods but the connecting apparatus is complicated. 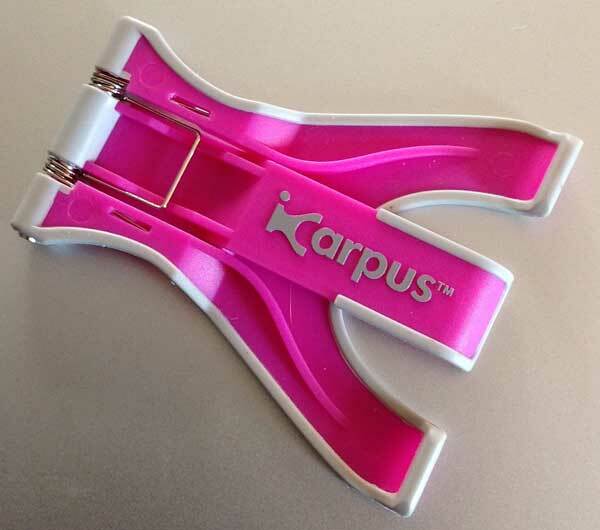 This little gadget works perfectly and is easy to stick in your purse or pocket. It holds the phone in portrait mode also, and you can adjust the angle by sliding the clip up or down . . . This clip works with most smart phones, but an added benefit with the iPhone is that you have a remote shutter release. Your iPhone earbuds have a volume control on the cord. The UP volume acts as a shutter. The UP volume on the phone body also acts as a shutter – which is so much easier than using the little icon onscreen. I still don’t know where/when/how I got this. Maybe it came in an Amazon box as a promo or something? I am so glad I figured it out instead of throwing it out. All three photos of this iCarpus were taken with the new iPad, btw – in a little better light. A couple of weeks ago, we talked about how traveling around the web is a treasure hunt. I saw that they had a “Paper and Books” category, and there I found treasure in the form of beautiful handmade books by Andrea Zimmerman-Rogers and her Blue Highways Shop. The covers are fabric wrapped, the stitching exquisite. 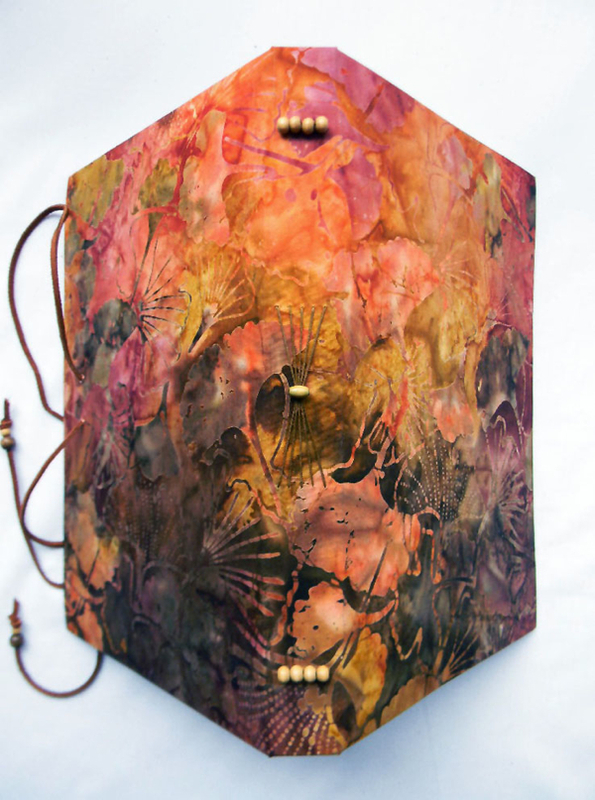 This one is filled with 140lb watercolor paper, has a leather closure tie with beads, and is about 7.5″ x 11″. 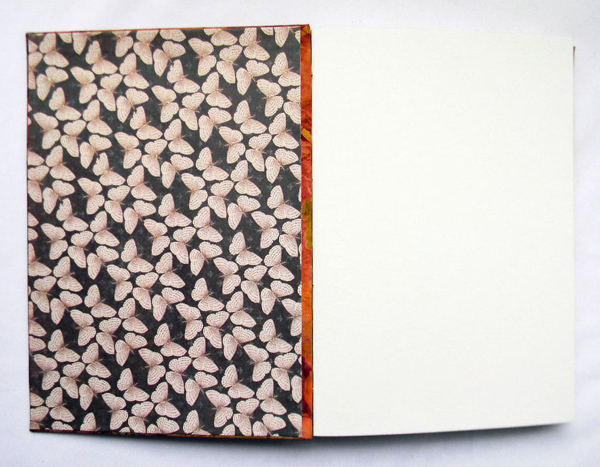 A gorgeous handmade book like this would be way too expensive, right? Obviously a labor of love! I bought it immediately – to see if it would be as cool as it looked. Remember my butterfly friend from last week? Well, she died the next day and I was sad. 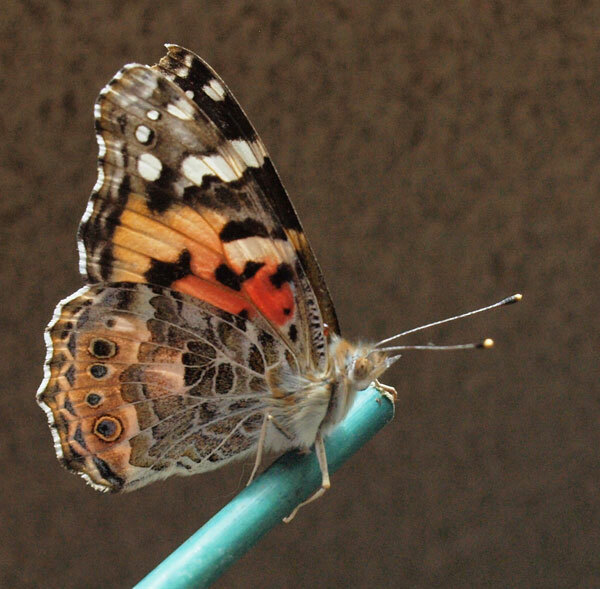 But, I talked to my friend Vesta about it and as it happened, she had just been to one of those butterfly exhibits (where you walk around and they sit on your head, etc.). She learned such an interesting thing. The butterfly is the last stage of life for the caterpiller. After mating, the butterfly starts to age – sort of disintegrate. Colors fade and the wings break down. All that was going on with my butterfly, and then she passed. So really, I have to look at it as a good thing. 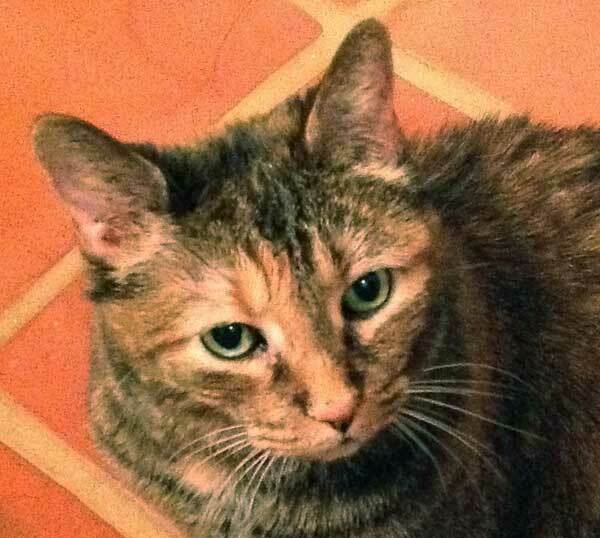 She found a beautiful place for her final hours, and I got the chance to immortalize her beauty – and share it with you. I saved her and will bury her in a pot with some amazing plant this year. And then a package showed up – and it was my book. The presentation was great. it was wrapped in vintage newspaper and tied with rustic string. A string style bookmark was attached – with beads that matched the ones on the closure tie. When an artist goes the whole nine yards like this, I go nuts with appreciation. And then I saw the book itself – which was just about glowing in my hands. “This looks just like the American Lady,” I thought. And then, I opened the book . . . There were the butterflies. I was not sad anymore – I was thrilled. This will be my watercolor sketchbook for the garden this year. And the first page will feature her photograph. I was so impressed that I did two things – emailed Andrea about how much I loved the book – and bought another one . . . 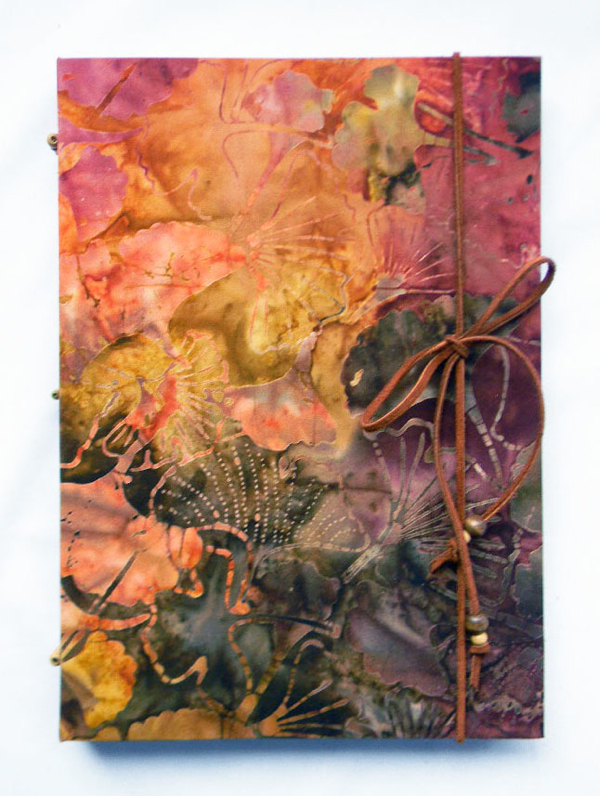 This one is journal sized – 5.5″ x8.5″, and is filled with both lined and drawing pages. This one is for my notes, photos and transfers for this year’s garden. And it was just $28! I really can’t believe it. What fabulous gifts these make for anyone (and especially for you). 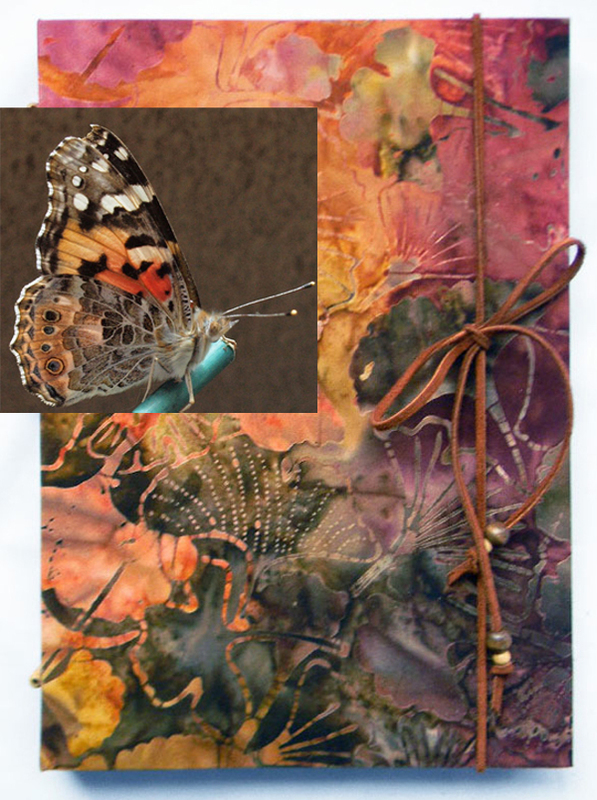 I am conversing with Andrea about creating the perfect art journal – what fabulosity that would be – for $10 more than a Moleskine Sketchbook!!!! Please visit Andrea’s shop and give her your support. All these books are one-of-a-kind, so if you love it, grab it. I will keep you advised on the perfect art journal idea. Miles to go before I sleep . . . I would so love to keep chatting, but remember how my garden looks. Something must be done about that – right now! This entry was posted in Sunday Morning Coffee on March 25, 2012 by jessica. I’d like you to meet my newest friend. People often ask me how I get my photos. In the first place, they don’t believe they’re real, and then they think I must live in a magic bubble where amazing tableaux present themselves on a regular basis. Not so – you just have to be observant and patient, always have your camera handy, know how to use it, and think outside the box. 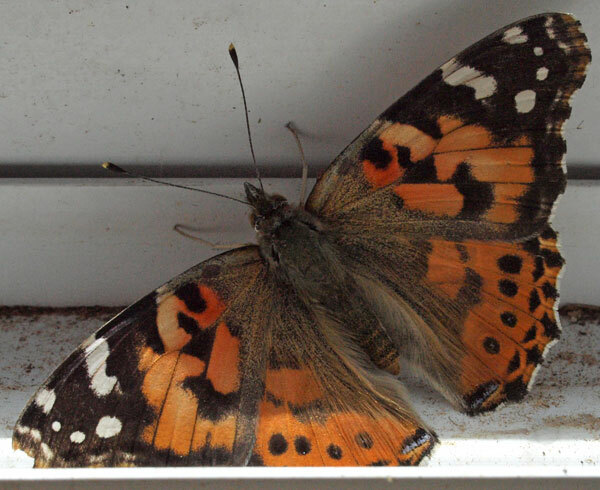 This beautiful American Lady Butterfly was on the windowsill in the garden studio this morning. I had gone out there with my coffee to plant some seeds – and there she was. Back into the house for the camera and lenses! My first idea was to find an angle that would show her off, but this wasn’t easy. The windowsill hid part of her wing, the windowsill was dirty from the wind storm we are having, and the backlighting and shadow were a photographer’s nightmare . . . I came back in the house and told Mark I got “evidence” that she was here, but not a “photo”. Things like this really bug me, however, and I was soon out there again with a macro lens – wondering if she might move to a better spot for me. The true traditionalist nature photographer does not alter the scene, don’t you know, so I would have to talk her into moving. No dice. She seemed to really like that windowsill. Then I noticed some spider web in the window sill and wondered if she was stuck there. Butterfly Rescue might have to be called in. And that wouldn’t count as “moving your subject”, right? I got a bamboo plant stick and placed it under her to lift her up. She hung on and even started posing for me (first photo in this post). So, there I am, butterfly “wand” in one hand, camera in the other, and all I have to do is move us all to better light, and ask her to spread her wings . . .
She is back on her windowsill (now cleared of spiderwebs) and all is well. I think she wants to fly off somewhere, but the winds today could blow her into a wall, and the low tonight will be in the 20′s, so she is much better off staying warm inside with the flowers and plants. Duh! Digital Photography . . . I have been asked many times to do a workbook on photography for those who do not want to dedicate themselves to becoming great photographers, but want to take better photos with their digital cameras (and phones). I support that idea because better photos are better to look at. Even if you never get off “Auto”, you can learn how to take a much better photograph. So, I am willing to take on this project, but I really need your help. Yes, you read that right. Once you know what you are doing with a camera, it is a lot harder to take a bad photo on purpose. I can’t. And if I could, they would not be the kind of bad photos most people want to fix. To study the things that go wrong in photography, you need to look at samples and talk about what happened – and learn how to avoid it. So, therefore, I am asking for your help. If I get enough examples, I will do the workbook using them. Your photos will be anonymous, of course. We are not out to embarrass anyone. If I do the Workbook and use your photo, you will get a discount on the book. This week I want to celebrate both the art and the hard won art career of Andrea Joseph. Some of you will remember that I have mentioned Andrea before,. I first ran into her work through the Everyday Matters Group back in 2007, and I was fascinated. I did an interview with her for a short lived journaling publication of mine which some of you will also remember. Andrea’s work is fabulous. While it is hyper-realistic, it is also full of whimsy and fun, and because she lives in England, it also offers a lovely peek at subtle cultural differences. She works almost exclusively in Moleskine Sketcbooks and considers her works journals. At first Andrea worked only in ballpoint pen, and did things like this . 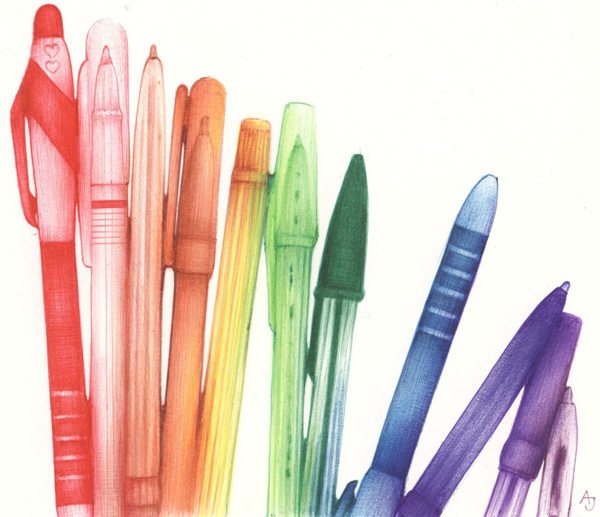 . .
She now has expanded to some colored pencil work and is experimenting with that. But the cool thing, if you have been following Andrea for a long time, is to see how she has built herself an art business. She has an Etsy site where she sells prints of her works, and wonderful, printed Zines, in which she hand draws all the little advertisements! She also sells some of her designs as postcards, greeting cards, and stickers through a printing site called Moo – which does have an American online store as well. I am discovering, now that I have some time to read blogs, that I really enjoy those that tell the story of an artist’s development as an artist. What are they doing to further their cause? What experiments went well or went wrong. I love following along with the thought processes of creation and the shared glimpses into the daily life of this creative person. Andrea’s Sketchblog is one that I love and read regularly. I will send you there, and in the sidebar, you can find the Etsy Store, and her Flickr page which has hundreds of drawings you can enlarge and study up close. Who Can Post to Your Facebook Page? I have to be honest and say I am not a Facebook fan. Something about everybody knowing everything about everybody gives me the heebie-jeebies. But, there are business reasons for me to be on Facebook and I enjoy staying in touch (if you can call it that) with family and friends I don’t see often enough. So, I’m there. And it baffled me why my Newsfeed was telling me SO MUCH about people on my Friend’s List – like what news articles they were reading etc. And I didn’t like it because they were reading stuff I didn’t even want to hear about in headline form. TOO MUCH INFORMATION! And then I explored my Privacy Settings and found a list of 10+ websites that had the ability to post as me to my Facebook page. They were telling my friends what I was doing too! Now I am not a computer dummy, and I say no to everything that pops up, and I did allow my Twitter and WordPress accounts to post my blog updates to Facebook. But who were these other people?! It turns out that, in essence, Facebook can follow you around the web – even when you are not signed into Facebook. To be fair, it is not Facebook following you, it is a bunch of cookies. Some would say it would not be so bad to be followed around by a bunch of cookies – if they were fresh and warm – but these are not chocolate chips we are talking about. Some websites report your activities to Facebook, and their ways of getting permission to do that must be pretty obscure – because I was being watched by a lot of them that I not only did not allow, I never even heard of these sites. So here is how to check for this . . . This whole section is crazy, but first turn off any Apps and Websites you do not recognize. You can click to turn off all apps unless you do use an auto-reposting feature like I do for WordPress and Twitter. Then, go through and edit the three headings that follow. Read the wording carefully. When you turn things off, you will get a pop-up window telling you what you will be giving up if you do that – like maybe someone won’t know it’s you if they can’t see your Profile info and pass it on to other apps! Big loss, right? This whole thing creeps me out – especially since I did not know it was going on until I read about it in some tech news article. I don’t want to know what news articles you are reading or what you just bought from where, and I know you don’t want to know that much about me. So, let’s get rid of all this stuff when we find it. 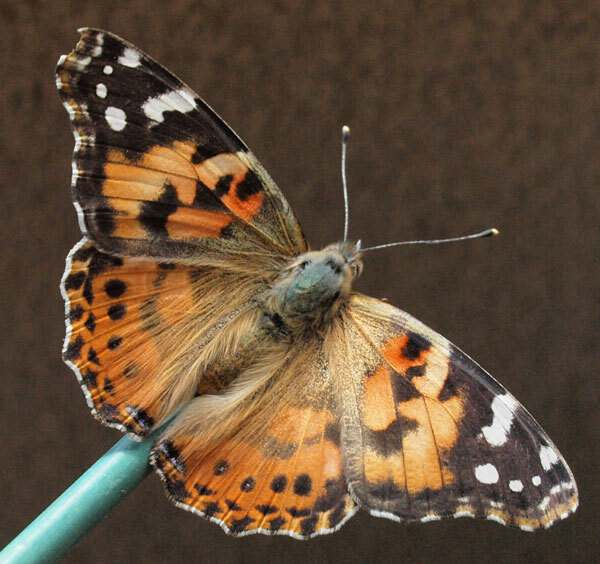 Happy, Happy Spring to you – from the American Lady and I. 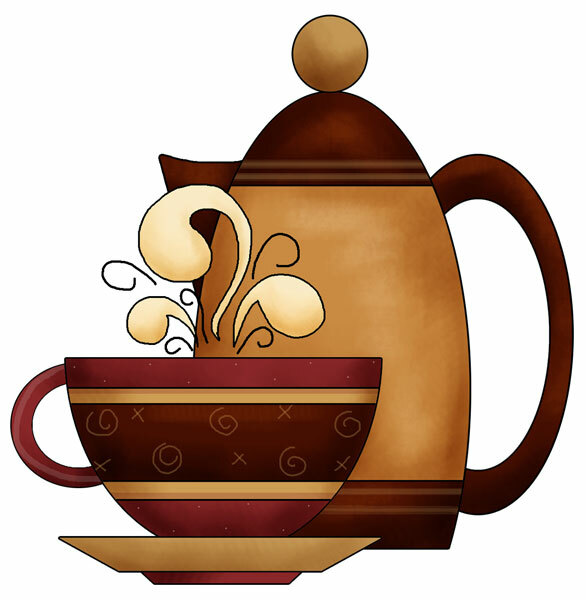 This entry was posted in Sunday Morning Coffee on March 18, 2012 by jessica. has been extended to March 14. So . . . What About this New iPad? Wow – it’s fabulous. Awesome icing on an incredible cake. However, I want to share a few thoughts on the subject. I have spent most of my life as an early adaptor. And an upgrade junkie. No, I will not camp out overnight to get the first gadget available – because I am also a camping wuss. But, within reason, I am usually on the first train to newness. I had the first Mac, and am now on my 20th. I had the first iPod, the second iPhone, the first iPad (albeit a bit later than most other early iPad adaptors). I had the first Photoshop and have spent an extra $2000 in upgrades to get all the way to my current CS5 copy. I am on my 8th digital camera since 1999. I bought the first model from Olympus, which was the first company to do it right. Interestingly, it had the same megapixel count as the iPad2 camera! So, my early adaptor credentials are pretty much in order. However, there is something that is fundamentally true: if it ain’t broke, don’t fix it, and if you don’t need better than you got, don’t upgrade. Adobe has miffed off everybody on the planet with their new idea of only allowing upgrades from the most recent version. The tech world is a-buzz with the crumminess of that idea. But, that crummy idea has made a lot of people think in a new direction. Maybe, before running out and grabbing the next best thing, we should stop and think about whether we need it. Or not! The truth is, the new iPad IS just frosting. It is thick delicious frosting to be sure, but the real magic is in the cake underneath. And the iPad #1 is a great cake. The iPad #2 is a great cake – with a thinner icing of a low res camera and a little more speed. The iPad #3 is a great cake. And the frosting is an amazingly beautiful retina display, enhanced speed, a 5 megapixel camera instead of 1.4, and a few tricks, like dictation. It also has a new iPhoto but the iPad2 will run that as well. So will the iPhone. But you have to ask yourself, do you NEED the frosting? If so, do you NEED it $500 worth? Believe it or not, these questions stopped this early adaptor from hitting the preorder button last Wednesday night. That being said, after a careful analysis of the questions above, I found I actually do need and will buy the new iPad. But here’s why . . . I am out of room. Because of the very elaborate iPad Studio Workshop I am offering, I have used up the 16 gigs on my iPad 1 and need to move to 32 gigs of storage. Because I am writing workbooks on the iPad, I could really use the ability to scan my paper sketches directly into the iPad, which you can do with a scanning app if the iPad has a camera. Right now, I use my iPhone and transfer the pictures. Saving a step when you are as pressed for time as I am, is not a small deal. And finally, also because I am writing books on the iPad, I would really save time with the Dictation feature, which will turn my spoken words to type. If you do not have an iPad, want one, and you are not pinching pennies, run, don’t walk, and get the new iPad. If money is an issue, get whatever model fits your needs. All three models are sweet magic for an artist, and there are good deals to be had in refurbished and gently used models. A dear friend has spoken for my iPad 1 – which helps me upgrade! If you have an iPad or iPhone, and you ran through the questions above without any severe pangs of longing, or any common sense reasons to get the new and shiny, don’t upgrade. Be happy with what you’ve got. Upgrading is always out there as an option, when you feel the real need. And it will be easier. There won’t be any lines! Someone asked in Comments whether my iPad Studio Workshop would be appropriate to the new iPad 3. The answer is yes, of course. Just like Photoshop versions, each upgrade is not a change in the basics at all. Just frosting. My workshop deals with learning to eat the cake and is open and appropriate to all models of iPad, and the iPhone3S and 4. You can sign up any time and catch up. We are coming up on our second Workbook in the series of eleven. Because I was so long winded so far, I will move briefly through my other treats for you this week. This is an appropriate share for the beginning of National Craft Week! The whole blog will entertain your home-loving soul for hours (and then visit her Pinterest boards!). You will probably emerge by Tuesday or so. And, it just so happens that bonnie has posted several Free Font sources – which I know you all love. The following link goes to the blog search results which brought them all up in one place. I do love paper! 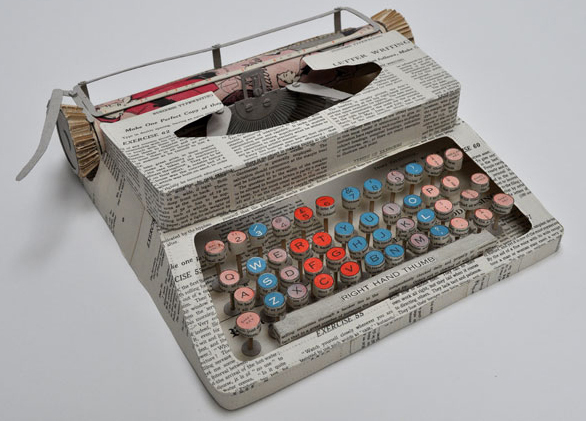 Matt’s work is paper folding – incredible paper folding. He is a scientist as well as an artist, and the process and theories behind this work boggle the mind (my mind, anyway). He has been a featured TED speaker and few people get that honor. 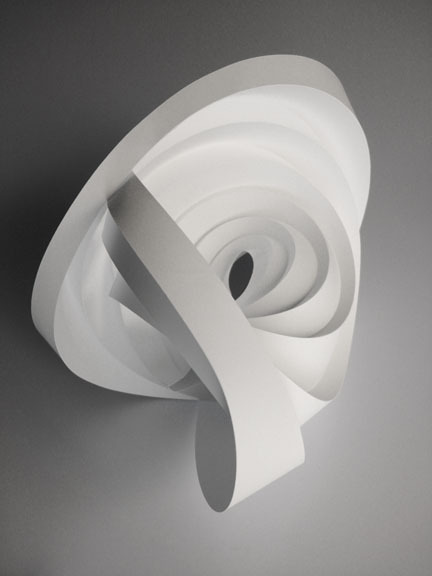 This piece (We Are Building this Ship as We Sail It) is from the 2010 Sculpture Gallery on his site, and it is one of the simplest visually – but can you even imagine creating smooth, rounded folds like the? Yikes. 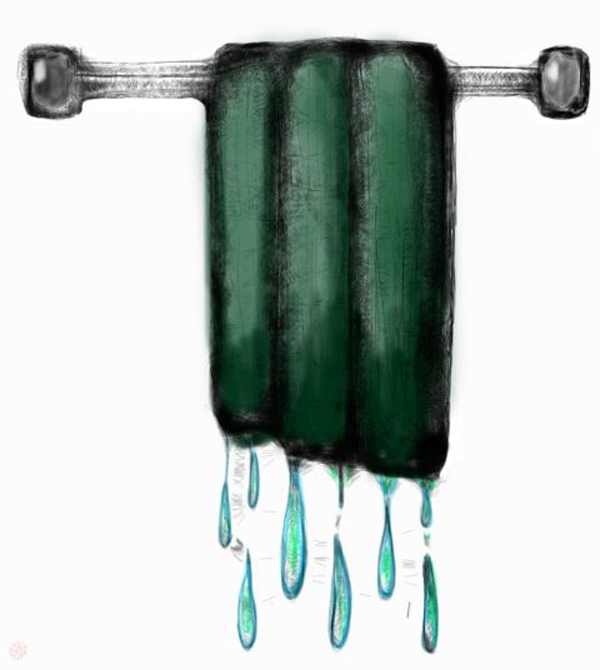 Wet Towel (different than a wet blanket) . . .
Here’s my “Save the Moment” iPad art for this week. 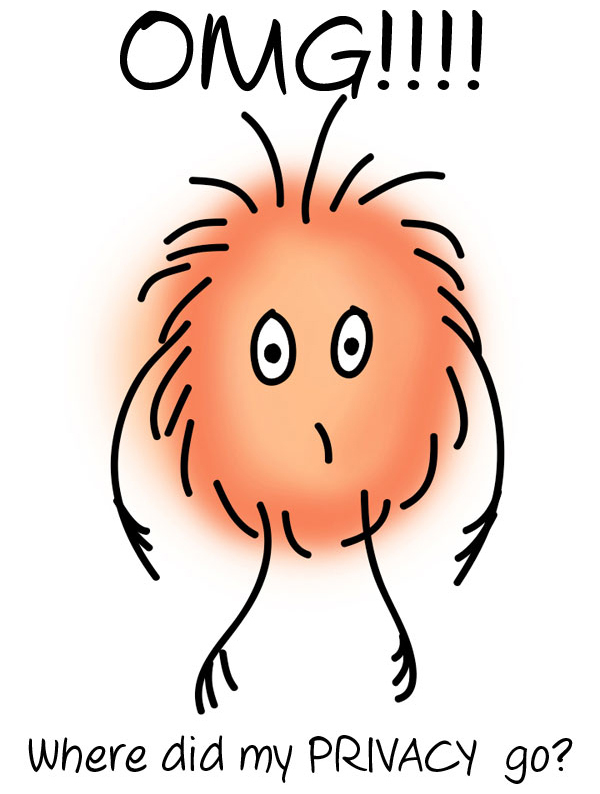 I dropped my towel in the shower, and dealing with that problem took a lot of my moments! Deserved to become an iPad sketch, right? Next time, I will have another privacy warning for you – this time, it’s Facebook. This entry was posted in Sunday Morning Coffee on March 11, 2012 by jessica. 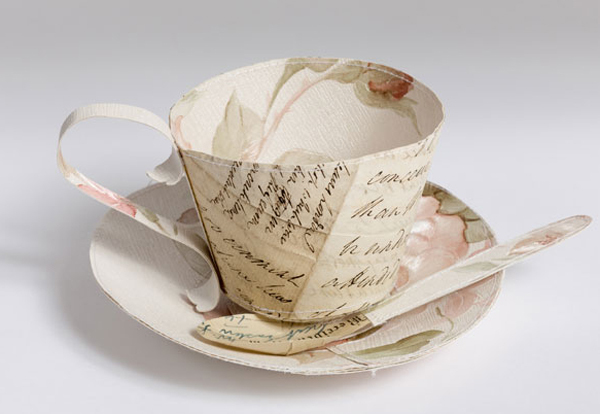 This beautiful cup and saucer come from paper artist, Jennifer Collier, who lives in the UK, and who is our Artist of the Week this time. More about Jennifer shortly. First, I have something very important to talk to you about . . . If you have a Google membership – i.e. if you have a gmail account, use Google Reader, or certain blogging platforms and other Google services – EVERY Google search you have ever made is recorded in something called your Search History. The Search History has been there for awhile, but it has not been included in the database of other information Google keeps about you, and makes available to their own and other’s programs at their discretion. Now, it will be. Stop and think for a moment about how much somebody would know about you from your Google searches. Click the button to remove all your Web History. You can look around before you do that if you want to be amazed and disgruntled a bit. After your history is emptied, click the button to Pause your web history. That’s all there is to it. Now, you will be the only one who knows what you choose to search for. WHEW! I have been touting Kodak printers since I first got one, I still love them, and would not want to return to any other brand. When I read about the Kodak bankruptcy, I was saddened that Kodak would no longer be a photography super-power, but I was also very worried about the future of my love affair with the Kodak all-in-one printers. Would I get unceremoniously dumped? So, it is with great relief that I tell you that not only is Kodak not dumping their printers, they are making printing the number one priority for the company. Mostly because commercial printing supplies float a large part of their financial boat, but they have updated their desktop printers as well, with the new Hero line. I needed an extra printer, so I bought the Hero 3.1 at Staples, and I love it. One very cool improvement is that the paper feed now runs on a straight track. The paper tray is now on top and sits almost vertical, and the straight pass through means the paper does not have to wind around a set of rollers. This avoids a lot of paper jams with heavier stocks like photo paper. And another great addition is enhanced wireless capability. Since the second generation, Kodak AIOs have been wireless (and the set-up is instant and easy – on a Mac anyway), but now there is the ability to print wirelessly from your mobile device – by emailing the printer! I haven’t tried that set-up yet, but I will be as soon as I can find a spare minute or two lying around. I was in a hurry, of course, and so I bought my Hero 3.1 from Staples, and I learned a good thing. I first checked availability for my local store on Staples.com. There, I found the printer for $99 and the information that Staples stores will price match with “certain” websites. And Amazon was on that list! At that time, the printer was $89 on Amazon, so I printed off the proof, took it to my Staples store, and they matched the price! I was happy. 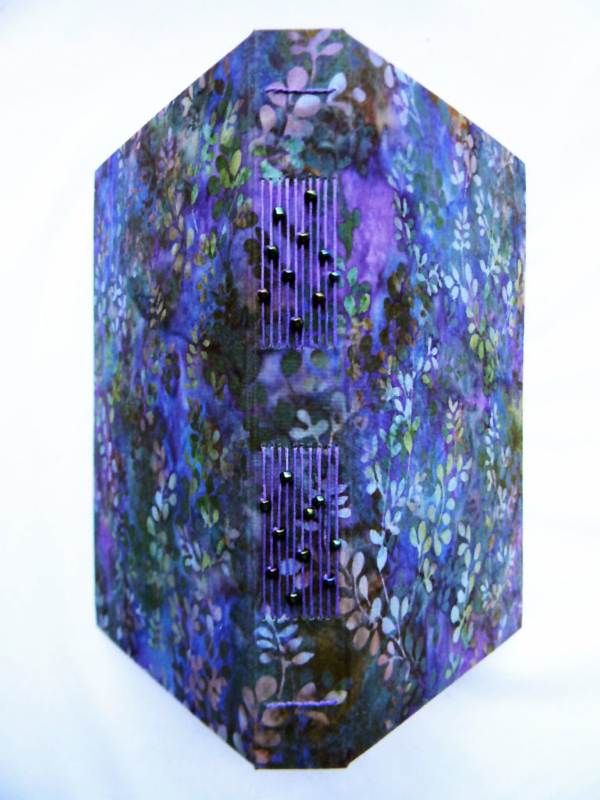 I produce unusual paper ‘fabrics’, which are used to explore the ‘remaking’ of household objects. The papers are treated as if cloth, with the main technique employed being stitch; a contemporary twist on traditional textiles. The Galleries on Jennifer’s site work with a slider which moves you through viewing the pieces. You will thoroughly enjoy your visit (check out the Garments Gallery – I love the gloves). Outside my Door . . . If you follow me on Twitter (@jessicawesolek), you have seen this. I love making art on my iPad, so I set myself a challenge – to find something that is worth drawing on any particular day, and draw it. (I did not challenge myself to do this every day, of course). But, most days, between my online business, my gallery business, and my Amazon addiction, I trip over something like this pile when I try to go out my front door. I never see it as overly attractive, so I thought if I paid more attention to it – by drawing it as a pretty thing – I could see its potential beauty. And it worked – I grew found of these battered boxes. Sealed packages are a generally happy icon in our culture – the surprise element and all. We don’t pay much attention to them before we rip them to shreds, so I thought they deserved at least a moment of glory. I hope you all have a splendid Sunday. This entry was posted in Sunday Morning Coffee on March 4, 2012 by jessica.